Edward Kelsey Moore is a professional cellist and the author of the best-selling 2013 novel The Supremes at Earl's All-You-Can-Eat. 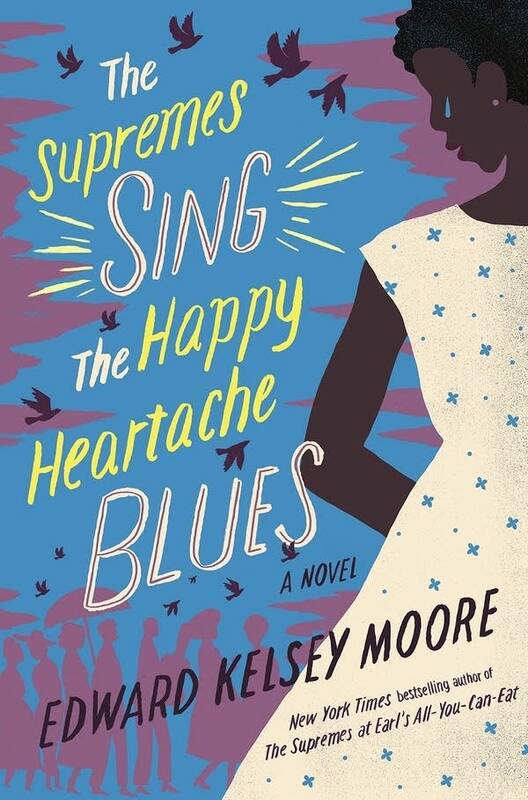 On June 20, 2017, Moore's second novel, The Supremes Sing the Happy Heartache Blues, will be released. Ahead of the new novel's debut, Moore (who has also written a number of pieces for this website) took some time to talk to us about the forthcoming book. You can also enter for a chance to win a copy of the new novel. 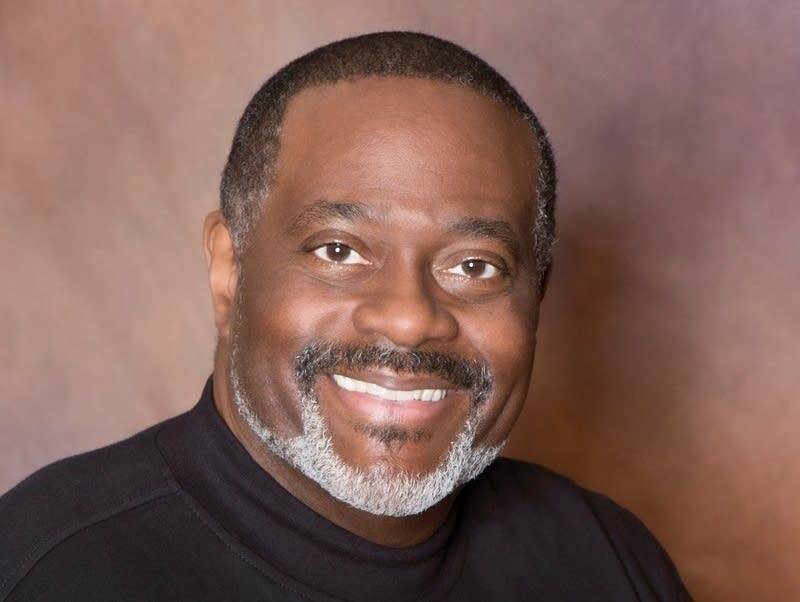 Here's the conversation with Edward Kelsey Moore, who connected with us from his home in Chicago. You can also listen to the conversation using the audio player above. This is the second novel that you've written; the previous one was The Supremes at Earl's All-You-Can-Eat. In your books, the Supremes comprise a group of three lifelong friends: Odette, Clarice and Barbara Jean. This trio became our friends in the first book, "The Supremes at Earl's All-You-Can-Eat"; were you inspired to write a follow-up novel because you wanted to look at what's next for the Supremes? Had you heard from readers of the first book asking about what comes next? EDWARD KELSEY MOORE: It was really both. I had thought that I would write another book about these women. I imagined that it would be a little further down the line because I had an idea for another book that I thought would come first. But these characters kept coming to me and saying that they had a little bit more that they wanted to share with people, and I decided to go ahead and go with that. And people have been very kind about the first book, and they wanted to know more about these characters and wanted to know what was going to happen next, so a combination of the two things. In addition to continuing the stories of Odette, Clarice and Barbara Jean, we learn a lot more about James in this book. Was that character speaking to you? Absolutely. He was a favorite character of mine, and I was very pleased to discover he was a favorite of a number of the readers — people who wrote to me and people I spoke with when I was out and about on book tour. There's a story about him that's revealed early in the first novel, The Supremes at Earl's All-You-Can-Eat, about a scar that he has, and then a very brief mention that this scar came from an incident in his childhood. That story was something that I had thought a lot about over the couple of years between writing the first book and beginning the second. That came back to me again and again. James is just such an interesting guy; he's a quiet guy, but he's so deeply in love with his wife and cares so much for the people around him, and that was something I wanted to write a little bit about. What are the challenges of writing a sequel to your novel? For example, there are sections where you summarize important storylines about the characters from the first book; did that feel like drudgery, or did that make the writing easier in a way? It was complicated, I've got to say! I think any writer will tell you that it turned out to be harder to write the book than they thought it was going to be. I think if you knew how hard it was going to be walking into it, you'd probably quit. But I thought, when I began it, "Oh, I'll just sort of recap things here and there." But of course, when you do that, you have to be very careful because it can just bring everything to a screeching halt, and you've already got another book that tells that story, so why tell it again? At the same time, you want people to be able to read the second book without having read the first book, so you do have to cover some things. It's in the same way that people introduce themselves to strangers in that you say a little bit about yourself and how you got there. And that was how I approached it with the second book. These people just need to say to people, "Oh yeah, I arrived through this route." I sort of thought of it that way, and that made the process a little easier for me. This book also includes the introduction of new characters as you expand the known population of Plainview, Ind., specifically bluesman El Walker and singer Audrey Crawford, including Audrey as a youngster. What inspired these characters? With El Walker, we learn early in the book that he is James's father and a man that James had assumed was long dead, a man who disappeared from his life when he was a child. Also, the person who caused that scar. We discover, through the novel, how deep that scar is. And we also discover that El is not just this monster who hurt his son and went away, that he also has scars of his own. These things that he did in his youth have affected him very badly also; it's not just that he hurt his son and hurt his wife, but that he hurt himself repeatedly over the years. And we learn a little bit about him and what caused him to behave the way he did, and what causes him to continue, as an old man, to behave in ways that he might even know he's going to regret but he still does it anyway. I find that interesting about people: that we often do things that we know are going to bring us a lot of unhappiness, but we just can't quite stop. El has had a lifetime of that. Audrey was a lot of fun. She was just sort of an oddball character who had a lot of anger and a lot of feistiness, and I just wanted to have her be a voice for people who have a hard way of it but find some way to survive. Your character, Clarice, is a professional pianist. There's a moment in the book where Clarice is taking a phone call from her cousin, Veronica, who wants to meet with Clarice. Veronica says, "Oh please, Clarice, it's not like you've got a real job. You can play the piano anytime." Like Clarice, you're a professional musician — reading that line, there seems to be something autobiographical in there. Oh yeah! (laughs) I think just about anybody in the arts has heard that from somebody. I think quite often a family member saying more or less, "You don't really have a real job — you're essentially being paid to play." And of course, one of the problems with that, just for artists in general, that our work is often undervalued, and people are reluctant to pay us fairly for our work. It's a problem that we often encounter in the arts. But certainly, that's a bit of an autobiographical thing that sneaked in there. "The Happy Heartache Blues" is a song by your character El Walker. The song exists within the universe of the novel, but you're a musician. Does "The Happy Heartache Blues" exist in your mind? What does it sound like? It does, and I actually wrote a song — it's the first song I've written, I think, since I was in middle school. I can't say it's a good song! But in my head, there's a song that he's actually singing; for El Walker, of course, this is his big song, "The Happy Heartache Blues." I thought that I needed to have something in my mind as I imagined him singing this song and imagined what the other characters were hearing, because this song is a major influence on all three of the main characters of the book: Odette, Barbara Jean and Clarice. So I had to have something in my head that they were thinking of when they thought of that song. So yeah, I actually wrote a song, and I'm working on it a little more now. I feel that maybe I'll let other people hear it eventually. It's a little raw still, but that's the idea! I'm going to have a new career as a blues man. In previous book signings, you occasionally appeared with your cello. Is there a possibility "The Happy Heartache Blues" as a song may feature in a future book event? I'm really hoping it will, yeah. It's something I really want to do. I think nobody's going to hear me sing it, but right now, I play it on my cello and have been coming up with some other parts to go with it. We'll see what happens. I hope it will be not horrible! The novelist Julia Glass wrote in a piece for NPR a few years ago, "All the best novels are about one thing: how we go on." That seems to apply to "The Supremes Sing the Happy Heartache Blues." What's your reaction to that? I love that quote, and I know Julia well, and I love her. She's a brilliant author and a brilliant person. That fascinates me: How people move through life, how people gain the strength to move through difficulty. That's certainly what I love to write about. And I think that's why my work tends to be funny, because I know that for myself, a lot of how I process difficult times is through humor, and my characters tend to do the same. So I want to show how my characters get through things. Whether they get through things healthfully or not is a separate issue, but they do move forward, they do find a way past things, past the stuff that life hands them. And I find that really fascinating, how the people of strong character do it and how the people of weak character do it. It's a really fascinating thing and makes writing a lot of fun.